Are you ready to buy a new or used Toyota but finding the time to go shopping for a new car is proving to be difficult? Between working and taking care of personal needs, there’s not a lot of time left to spend at the dealership trying to figure out which vehicle suits your lifestyle the best. It’s also hard to spend your free time looking for a new vehicle when you’ve been looking forward to resting and relaxing at home. However, there is a way that you can do both. You can stay home and shop online for your new Toyota. Car shopping online has many benefits such as convenience. There is nothing more convenient than shopping for a new Toyota from your home. All you need is a reliable Internet connection and you’re ready to go. You can relax and surf the Web whenever it suits you best, even in the middle of the night. Whenever you’re ready to check out the different Toyotas to find the right one for you, all you need to do is start your search. You don’t have to get dressed and drive to the dealership just to look around nor do you have to worry about taking time off work to make it there before they close. Another thing that makes online shopping so convenient is that you can start and stop your search as often as needed, so you don’t have to worry about interruptions. When you’re not sure what type of Toyota you want, shopping online is the best way to go. You can research the different types of Toyotas to see what each of them have to offer. It’s a fast and easy way to check out all of your options until you find a few select models you’re interested in buying. 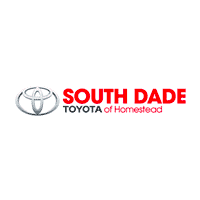 Here at South Dade Toyota, you’ll find a wide selection of new and used Toyotas to choose from so you’re sure to find something you like. After you narrow down the search, you can do a comparison to see which particular Toyota suits your lifestyle perfectly. When comparing the different vehicles, be sure to look at what comes standard and what extra features you can add on each one. This will help you find the right Toyota for you. Once you find the right vehicle, drop by our Toyota dealership in Miami to check it out in person by taking it for a test drive. It’s always best to drive the vehicle before making a purchase to make sure it’s a good match but you don’t have to finalize the deal right away. Buying a vehicle is a big investment so after taking it out for a spin, you can return home to think about it for a few days. If you decide it is the right vehicle for you then you can always visit our website and finalize the deal online. Shopping online saves you time, it’s fast and easy and it’s the most convenient way to shop for a new Toyota.